Aizawl, Feb 20 : Different student organisations under Chalfilh constituency have strongly protested the denial of some candidates a seat on the common platform organised by Mizoram People's Forum (MPF), a Church-sponsored election watchdog, in the run-up to the Chalfilh by-election. Sources said as their pleas to the MPF fell on deaf ears, the students' organisations planned to boycott a common platform scheduled to be held at Khawruhlian village on Tuesday night. 'Common platform' is a public meeting held under the aegis of the MPF, a method applied since 2008 state assembly elections. The MPF, sponsored by Mizoram Presbyterian Church, the state's largest Christian denomination, set its own election code of conducts which among others disallowed candidates to hold separate public meetings. 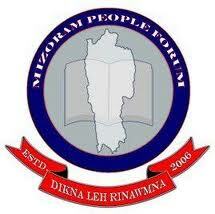 According to an agreement the MPF had signed with political parties, independent candidates and those of political parties which have not state offices in Mizoram would not be allowed to speak on the common platform. By dint of this, independent candidate R Lalrohlua and Lok Janshakti Party (LJP) candidate D K Thanga have been denied a place on the common platform. With just four days left for the bypoll scheduled for February 23, campaigning has reached its peak. Mizoram chief minister and pradesh Congress Chief Lal Thanhawla and opposition Mizo National Front president and former CM Zoramthanga have also campaigned for their party candidates. Though seven candidates are in the fray, ruling Congress candidate Dr H Ngurdingliana and MNF candidate Lalvenhima Hmar are the main contenders. The seat was left vacant by the death of parliamentary secretary and Congress legislator Chawngtinthanga on September 16 last year.